Whether you are decorating a brand new Donut Baking Pan, or just freshening up the basics, Kisweet has everything you need. The most convenient at high quality,and offers a new choice for you, which is designed for durability and safety. Size:Each donuts pan is 11.6"x6.7"x1.2", the diameter of each cavity is about 3 inch, and 6 cavities in total, ideal for the use of whole family. 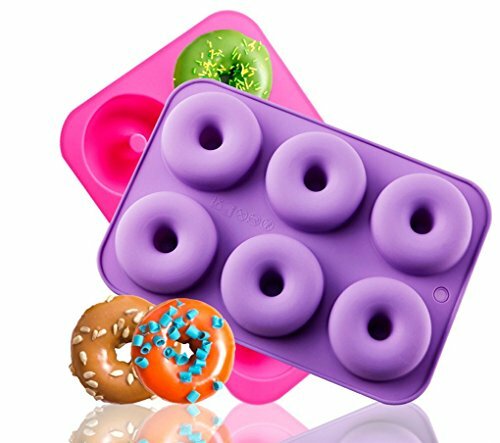 This donut mold is firmer and more durable compared to normal ones, and it can also be applied to other dessert. If you have any questions about this product by Kisweet, contact us by completing and submitting the form below. If you are looking for a specif part number, please include it with your message.